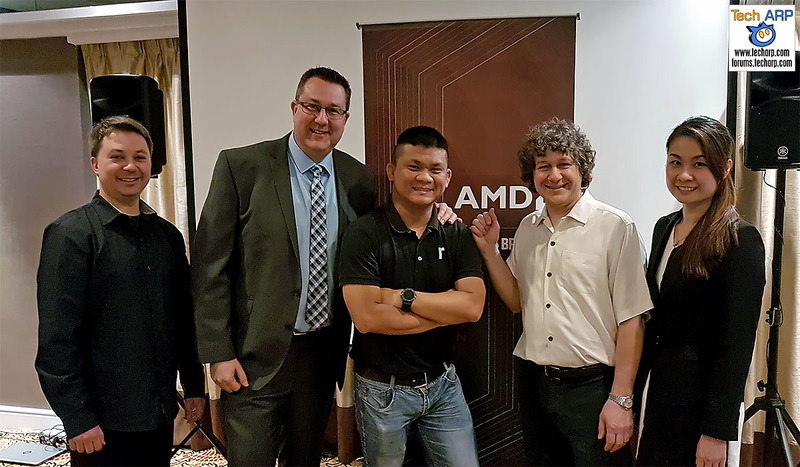 Last week, AMD Corporate Vice President, Product Chief Technology Officer and Corporate Fellow, Joe Macri, flew in to brief us on the disruptive nature of the new AMD Ryzen processors. Join us for his full tech briefing! Joe Macri’s presentation is actually titled “The New Era“, but we think it more accurately describes the disruptive nature of the new Ryzen processors. Not only has the Ryzen proven to be a real winner, it has also fired up interest in desktop computing that has never been seen in many years hence. Moore’s law has slowed down, so the industry is evolving to “Moore’s Law+” with new process technology, microarchitecture, integration technology and software. Despite the increase in computing power, we are still far from achieving 1000 TFLOPS required to achieve full presence capability. The AMD Zen core delivers an increase in IPC (instructions per clock) of more than 52% over the previous microarchitecture. The AMD Zen core also delivers 10% better area efficiency than the 7th Generation Intel Core processor (codenamed Kaby Lake). The AMD Zen core delivers 270% better Cinebench multi-core performance / watt over its predecessor. AMD has design teams working on the Zen 2 and Zen 3 cores, just as they have teams working on the Navi GPU that will come after this year’s Vega GPU. AMD is focused on open solutions for heterogenous computing, like the HSA Foundation, Radeon Open Compute (ROCm) and the open interconnect standards. Previous : The 2017 Dell Business Computing Devices Revealed!